MADISON – As homeowners begin to clean up damage caused by hours of heavy rainfall that triggered flooding in parts of southern Wisconsin early this week, they should beware of door-to-door contractors promising quick help at a great price. 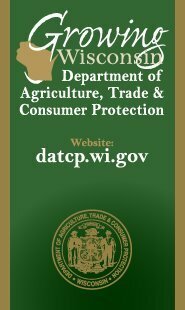 The Wisconsin Department of Agriculture, Trade and Consumer Protection (DATCP) is urging Wisconsin residents to be leery of promises made by these fly-by-night contractors (also known as “storm chasers”), as these operations have a history of doing subpar work for high prices or simply running off with a victim’s money. These teams come and go from an area without a trace, leaving consumers empty-handed and with no recourse for any work left unfinished or any damage they have done to a homeowner’s property. They may pressure homeowners for upfront payments or increase their prices arbitrarily as they work. Be wary of any contractor who knocks at your door. Call the police or sheriff's department to check them out. Hire a contractor based on referrals. Ask friends and neighbors for recommendations and ask contractors for references. Before you sign a contract, contact the Bureau of Consumer Protection to see if we have received complaints about the business. Try to get a local contractor. Be careful if local contractors are using outside subcontractors. Have someone watch the work being done. Check with your local building inspector to see if the work requires a permit and make sure an inspector visits the job site before you provide final payment. For additional information or to file a complaint, visit the Consumer Protection Bureau at http://datcp.wi.gov, send an e-mail to datcphotline@wisconsin.gov or call the Consumer Protection Hotline toll-free at 1-800-422-7128.